Last month President Barack Obama signed the Every Student Succeeds Act into law, making $1 billion dollars available for educational technology spending. In addition, the new law ensures that educators are aware of the piracy harms new technologies introduce. 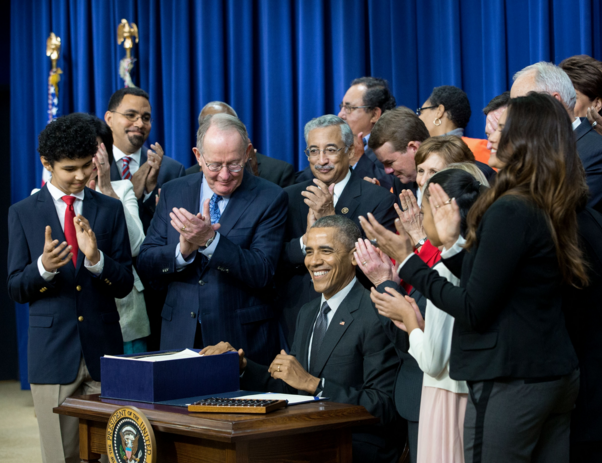 With bipartisan support, the Every Student Succeeds Act (ESSA) became law late last year, outlining what U.S. public education policy looks like in the years to come. One of the key changes to its predecessor is a stronger focus on technology. If fully funded, school districts can receive up to a billion dollars to spend on education technology. What hasn’t been mentioned in any mainstream coverage, however, is that this technology part includes a piracy component. It turns out that various entertainment industry lobby groups have kept a close eye on the bill. 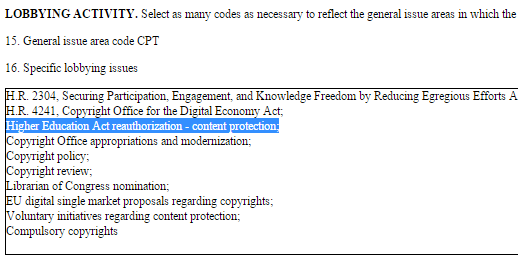 In its most recent disclosure the MPAA lists “content protection” as a lobbying topic related to ESSA, and this hasn’t been in vain. “(i) effectively integrate technology into curricula and instruction (including education about the harms of copyright piracy),” one reference reads. The law doesn’t go into detail on what the harms of online piracy are. This might turn into some interesting discussions down the road as academic studies show varying results. The addition of the piracy related language is celebrated by the entertainment industries, including the MPAA-backed organization Creative Future. The group lists a thank you note on its website allowing the public to forward the message to Congress. “There is no better time to help students understand copyright than when they are learning how to use the Internet! Now, technology training for educators will also include this important pro-creativity message,” Creative Future adds. In recent years the MPAA and RIAA have already started to get involved in copyright education. As part of the Center of Copyright Information they helped to create a new curriculum for California schools. Initially the lesson materials were rather one-sided, lacking a proper mention of issues such as fair use and alternatives to standard copyright licenses. After a public outcry, this was eventually changed in an updated version of the lesson materials. Continuing down this path, it’s expected that various copyright groups will now reach out to educators to assist them with training and education related to the harms of piracy.